Clear link between education and higher female labor force participation: The link between educational attainment and female labor force participation is clear. The higher the level of education, the higher the labor force participation rates. 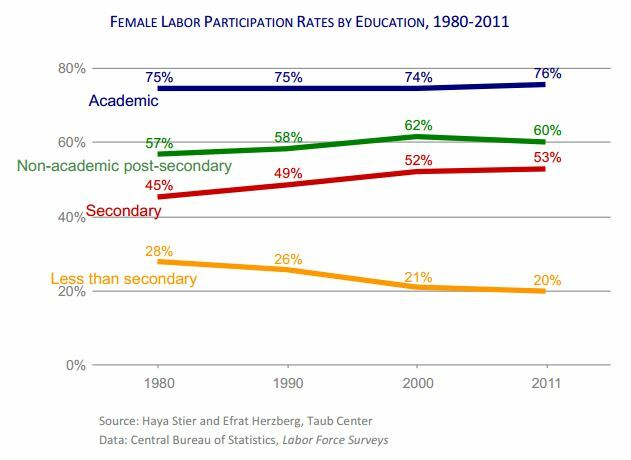 The fact that participation rates have been relatively steady and high among women with academic degrees, together with the fact that a greater share of women are attaining such degrees, is the primary underlying reason for the rising female labor force participation rates over time.